This was the inaugural makerspace event held by the Regina Public Library. Trevor, Adam and Tim provided creations for the show. This was our first show in the Estevan area and we were well-received! 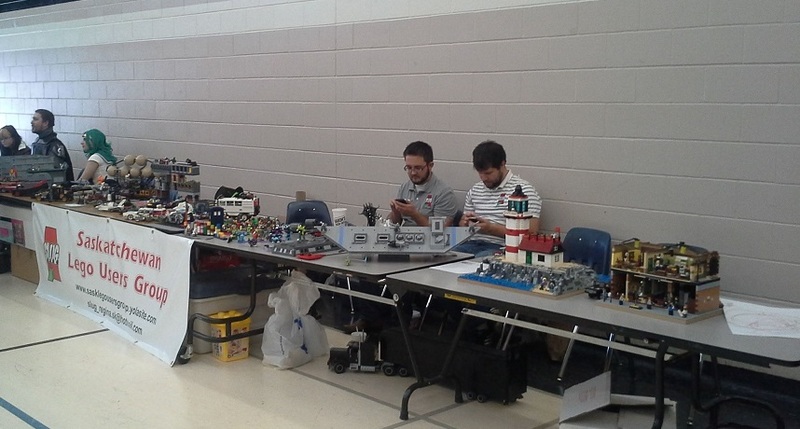 Showcased were builds by Chris, Waylon, Wes, Adam, Ray J, Karen and Caleb. 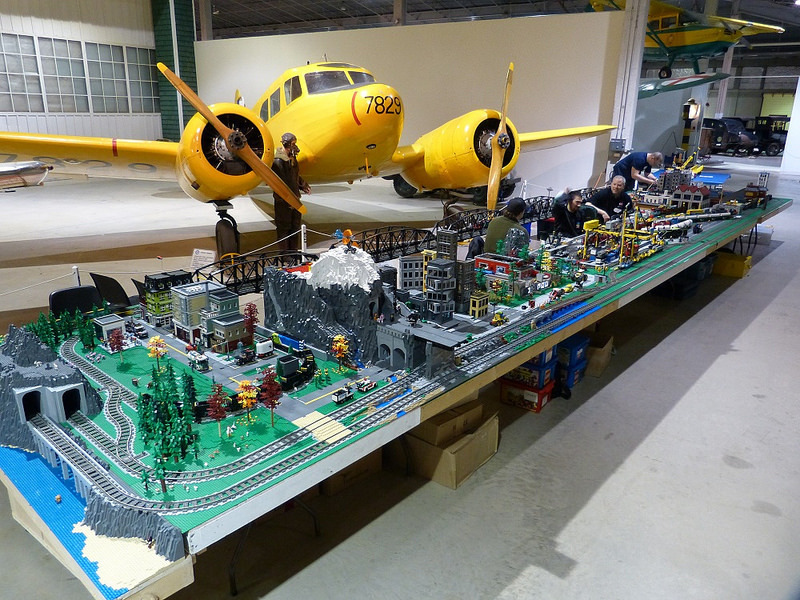 This year's participation in the show saw a 40' layout created by Trent, Andre, Jeff, Lorelie, Nathan L, Ray M, Scott and Adam. It featured Friends characters, and valley, industrial areas, spooky characters and a working GBC. This second-annual summit showcased a nice mix of nerdy and classy creations by Ray J, Chris U, Waylon, Scott, Jeff and Lorelie. A two-day 'Maker Fair' held at the Saskatchewan Science Center showcased creations by Adam and mosaics by Tim. Our third year of the show saw it's largest participation to date! We had 28 people take part in the show, include three from other provinces and one from the US! 2328 visitors viewed our creations, as well as watching the many events we held and many awards were handed out! 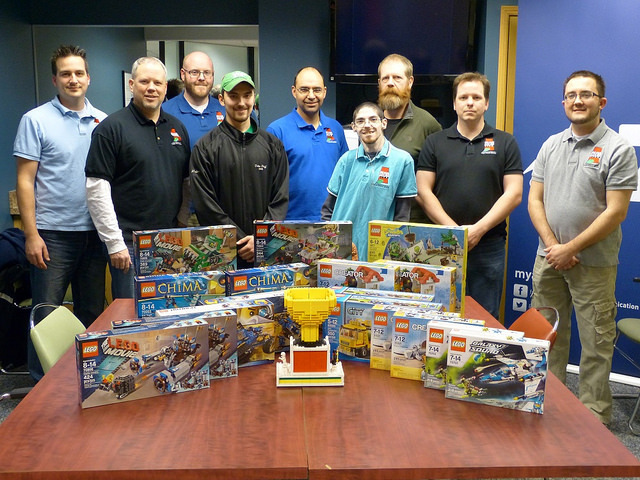 Our return to Moose Jaw featuerd a 36' long display by Scott, Ley, Adam, Ray M, Andre, Trent, Dave and Chirs U, accompanied by LEGO creations by Wes and Ray J. We won the Best Non-Scale Layout award for our efforts once again! 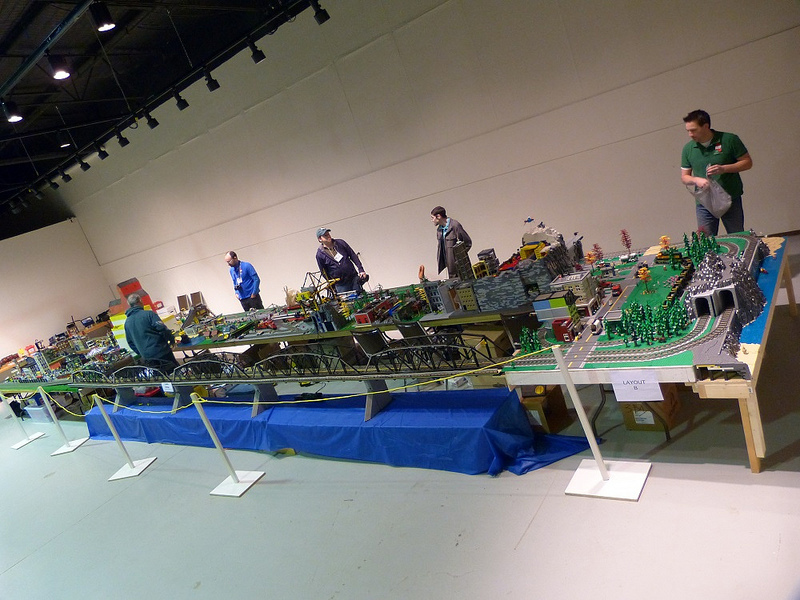 This year's show saw Dave, Scott, Ley, Ray M., Adam, Andre, Linda and Trent create the train display which was accompanied various creations made by Karen, Chris W., Ray J. and Tom. Our Layout won the Best Non-Scale Layout award for the third year in a row! 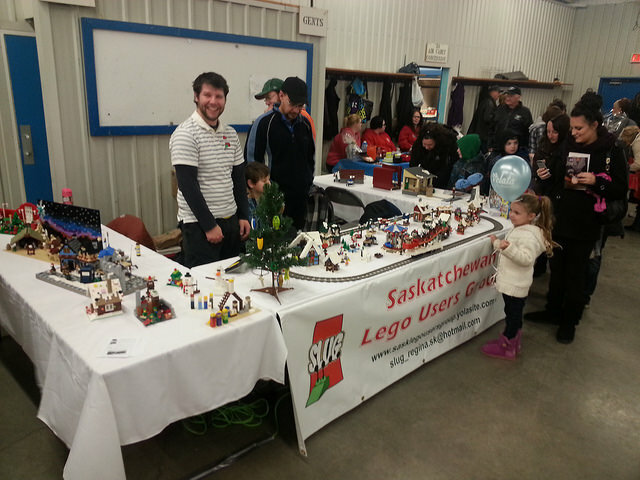 The Saskatchewan Lego Users Group was approached by a local TV station to film a competition show based around Lego. Chris W, Adam, Scott, Ray M, Trent, Andre, Tom, Ray J took part in the building with Chris U taking on the duties of judge. The show will air sometime in the Spring or Summer.